left: 600 cfm Sullivan Palatek refrigerated air dryer for the 150 HP backup air compressor. right: 150 HP Sullair rotary screw backup air compressor. 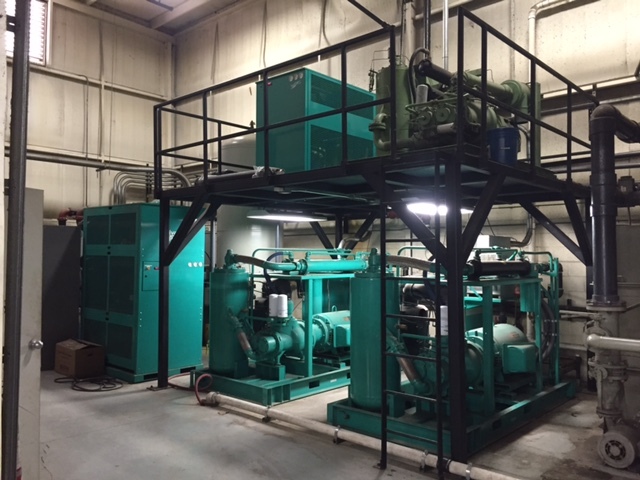 left: 1600 cfm Sullivan Palatek refrigerated air dryer for the two 200 HP compressors.